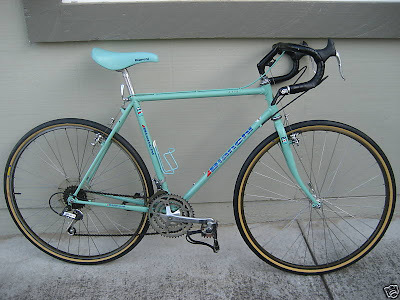 Retro celeste Bianchi Axis cyclocross bike with SunTour components on eBay. 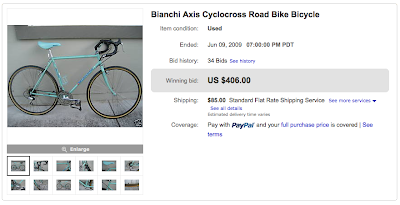 What's your guess on the final price? 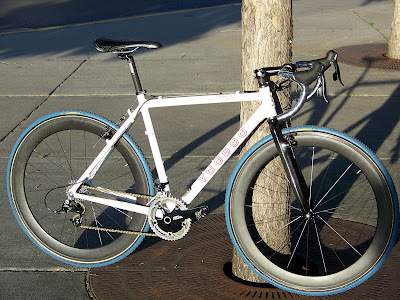 I've been looking at your blog for a bit now after being introduced via a friend, and thought I'd share my first 'cross bike with you. All told weighs in at 17lbs 14oz, or just hovering around 8.1 kilos. 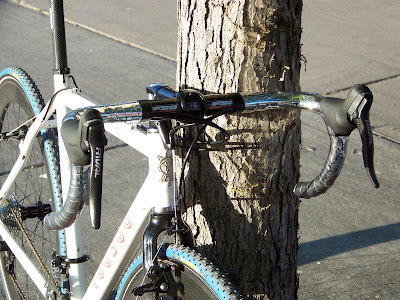 Future replacements (the fork will be the first thing replaced) will definitely make it lighter. Thanks!